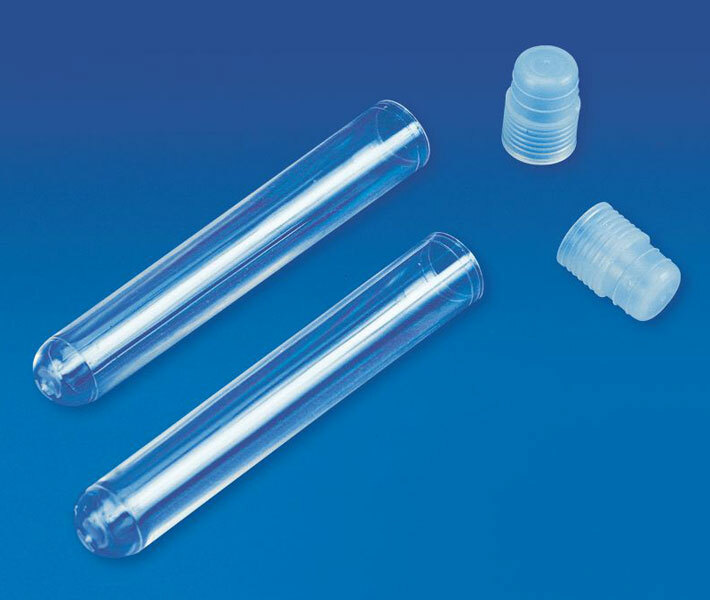 These Polypropylene/Polystytene tubes are generally used in RIA, Coagulation & Bacteriology. The Polypropylene tubes are clear and can withstand 3000 RCF during Centrifugation while the transparent Polystyrene tubes can withstand 1400 RCF. The PP tubes can accept common acids, alkalis & solvents at room temperature while the PS tubes can accept mild bases, weak acids but not organic solvents.